A little bit of detective-work will easily give you the answers to this competition, in which twelve pairs of concert tickets for the Royal Albert Hall concert in London will be awarded to lucky names drawn from the BtP Homburg. 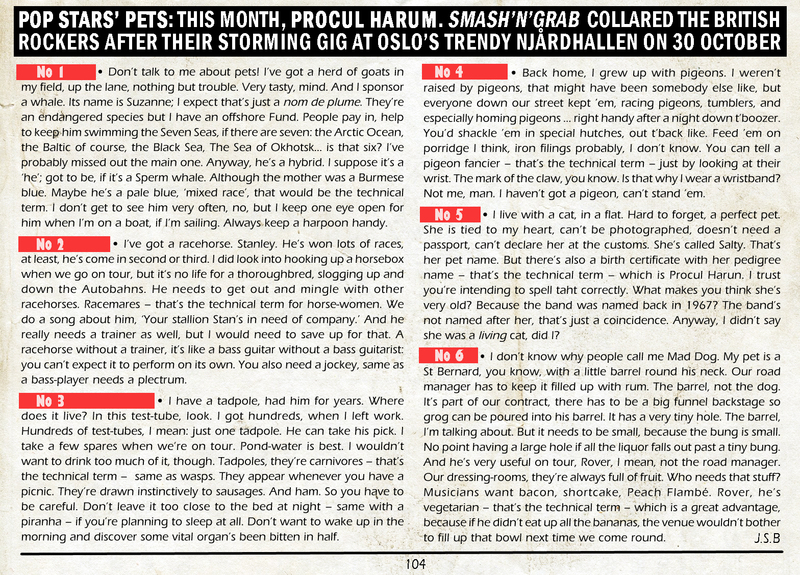 In the archive article below (thanks, Ursula), 'Beyond the Pale' has blotted out the six band-members' names with red ink, and all you have to do is figure out the year it was written, then who is behind the answers for 'No 1', 'No 2' and so on. The band does not appear to have taken the Smash'n'Grab journalist particularly seriously. Send your name and your answer to albert-hall-gig@procolharum.com . Your answer will be in the form '1 Gary Brooker, 2 Dave Knights, 3 Pete Solley, 4 Dave Bronze, 5 Chris Copping, 6 Matt Pegg' or whatever. But for obvious historical reasons that example is not a hint! Now read on. 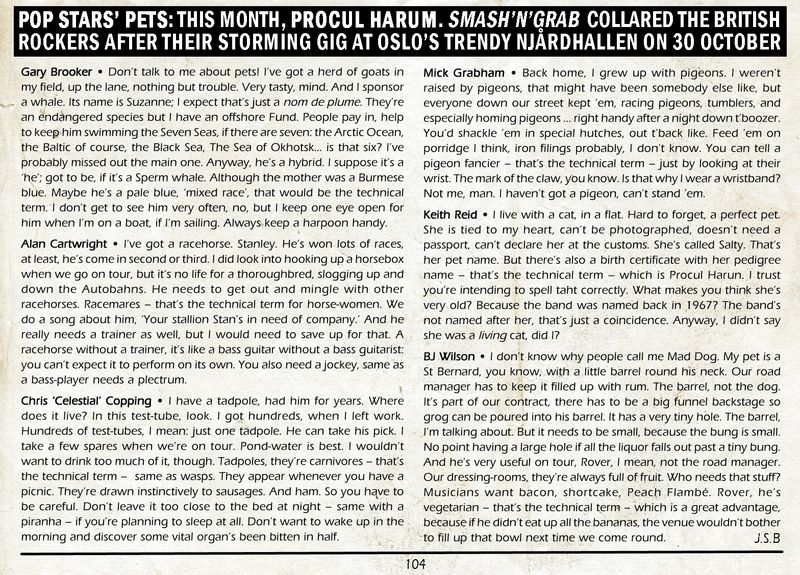 If the article doesn't display properly, you can download the scan by clicking here.